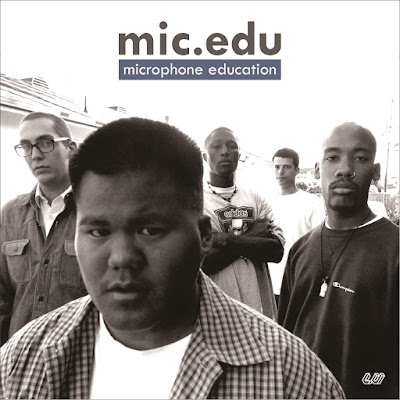 Hip-hop crew mic.edu formed in 1997 after meeting at KCSB, the Santa Barbara community radio station where several of the group's members hosted shows. 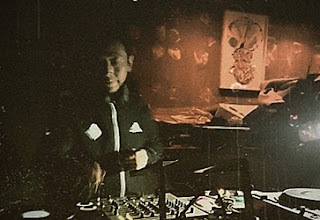 Over the next two years, rappers A-Twice, Eriksolo, and Rüd the Instructor; producer Quarterbar; and turntablist DJ Lion issued an EP and several singles of jazzy and introspective hip-hop, primarily through their own Rocketship Records label. 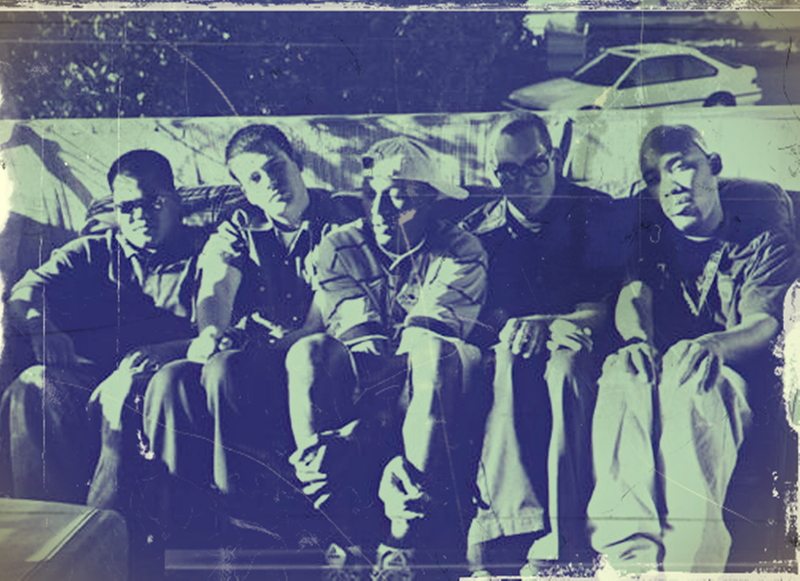 The group received heavy airplay on underground rap radio and performed live with likeminded acts such as Souls of Mischief and Aloe Blacc. Tragically, group member A-Twice (Lafura Jackson) was killed by cancer in 2000 at the age of 24. As a result, mic.edu disbanded, with Eriksolo and Quarterbar going on to start the group Meanest Man Contest. 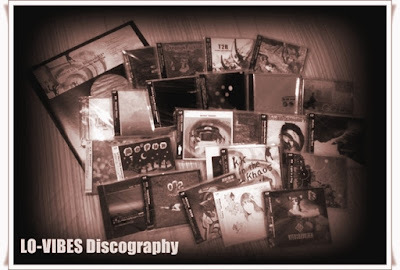 Two decades later, Lo-Vibes Recordings is releasing "Microphone Education," an album which collects all of mic.edu's key tracks in remastered form. 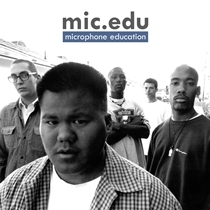 mic.edu "Microphone Education" out Now!! 2000 was the last year that Lafura Jackson (aka A-Twice) spent on this planet. It was a meaningful time for me. His humorous and intelligent character, cooking up interesting ideas and a lot of big plans that we talked about each other. and his all-around fun vibe and positive energy. More than anything else, I think about the many, many silly jokes we exchanged…but that's only my personal memory. .. This album isn’t like a “Tribute album” to him. 19 years and more have passed since then. And now I'm very excited to be able to bring you this album by mic.edu, the hip-hop group Lafura was a part of. 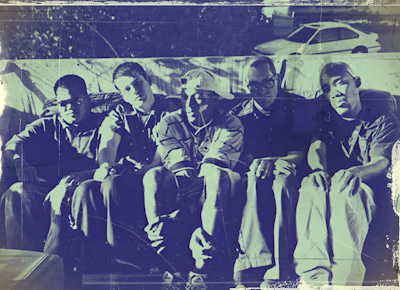 The group brought together the amazing talent of five young guys that were based on the west coast of the United States in the late 1990s. 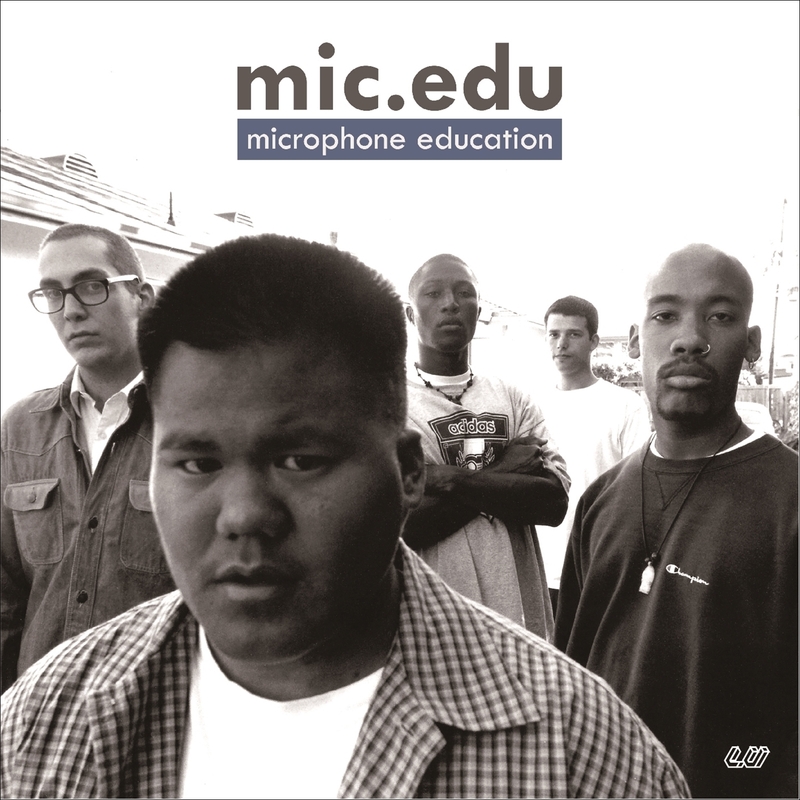 If mic.edu had been able to continue, I personally feel they might have been considered alongside crews like Souls of Mischief, Freestyle Fellowship, and The Pharcyde. While Lafura's skill, unique voice, and adeptness at rapping in both English and Japanese are all noteworthy, the other two MCs' abilities were also awesome. Meanwhile, the beats, rooted in the mainstream jazzy tastes of the era, featured a highly percussive sound and layers of unique samples. All of mic.edu's tracks were hugely original and continue to demonstrate the fact that the group should have enjoyed greater appreciation. This is not a nostalgia trip. The group's skills are totally clear, even if you listen to their music now. That's the main thing I want to convey with this release. mic.edu's songs were released at the time on scattered singles, compilations, and an EP, but were never issued as a complete album. Until now. This is the first time the complete works of mic.edu have been collected. Additionally, all of the tracks are fully remastered for this album's release. I would like to thank Eric Steuer (one of the original members of mic.edu, who recorded under the name Eriksolo) for working together with me to plan this release, as well as for providing me with all of the group's original recordings. 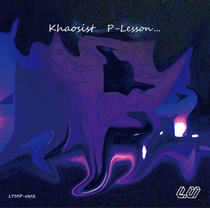 Here is the Khaosist (known as KK the Khaosist)’s newest beat sets in four years. Yup, His name is P-Roger Nelson. ("Lifetime Music Project"s' only goal is to satisfy his 'Ferocious Longing', and it will be continued for the rest of his life. 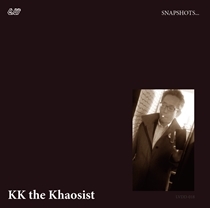 This is the best selection of sounds released from 2000 to 2017 by KK the Khaosist, a finest beat artist who represents Tokyo/Japan. and beats created for other rappers' album are included.